Since the general elections are less than few months away, everyone with even little interest in politics has started speculating about the next to be Prime Minister or the winning political party. As the Narendra Modi government completes four years in power, its flagship schemes like the Deen Dayal Upadhyaya Gram Jyoti Yojana (DDUGJY), Skill India programme, Ujjwala Yojana and Jan Dhan Yojana are struggling to make a difference, while others like Mudra and Housing for All by 2022 spell fresh trouble for the banking sector, which is already reeling under bad loans. Apparently, people seem to differ in opinions when it comes to what party they want to see in power, but as a prime ministerial candidate, Narendra Modi still remains the “Apple of our eyes”. Modi still is probably the most popular leader in India. This popularity is not without a foundation. The Modi government has been hailed by world leaders, the most recent is IMF chief economist calling the growth trajectory in India as “very solid”.Narendra Modi government came up with bold reformative policies and changes like GST and Demonetization, which are among the several reforms which have been praised as well as criticized by the nation. There is no denial to the fact that this government managed to bring some really effective policies. 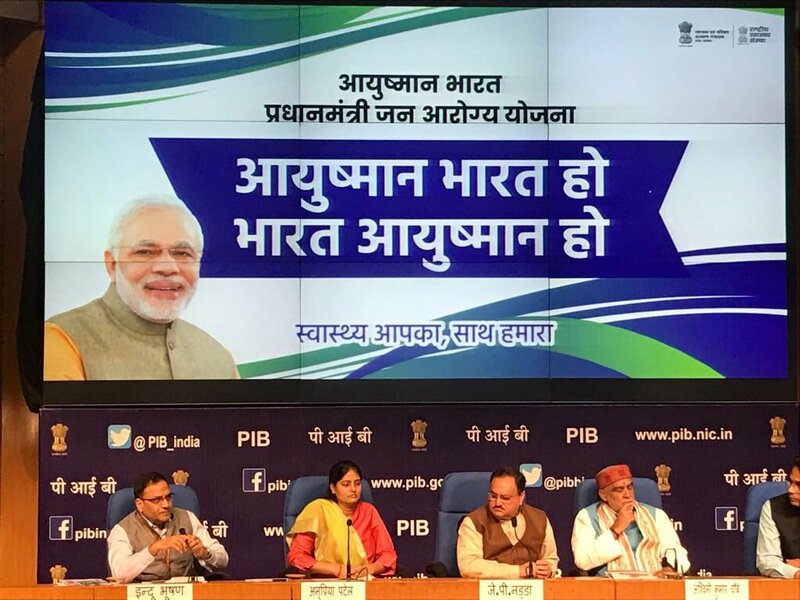 These 10 most popular government schemes in India launched by Narendra Modi government are the ones which may help the Modi to be in the power once again. Main Objective: Financial Inclusion of people by opening zero balance accounts. Pradhan Mantri Jan Dhan Yojana (PMJDY) is a flagship scheme of the Indian government to open zero balance bank accounts of poor people to provide them access to financial services. These include Banking/ Savings & Deposit Accounts, Remittance, Credit, Insurance, Pension services. Any individual over 10 years of age can open bank accounts under PMJDY without depositing any money. Jan Dhan Yojana is already a great success, around 33.38 crore beneficiary accounts have been opened in just about 4 years under the scheme. Despite zero minimum balance, the total balance in these bank accounts stands at Rs. 84337.37 crores as on 1st December 2018. Moreover, there are around 1.26 lakh bank mitras who are delivering branchless banking services in sub-service areas. Main Objective: – Provide insurance cover for crops including commercial crops. Post-harvest losses are also covered. 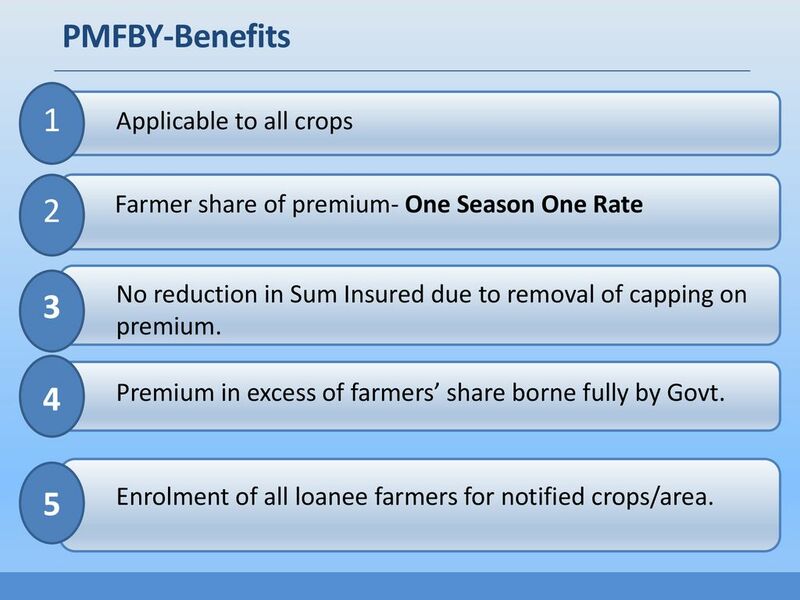 Pradhan Mantri Fasal Bima Yojana (PMFBY) aims at supporting sustainable production in agriculture sector. This is done by providing financial support to farmers suffering crop loss/damage in case of unforeseen events. PMFBY aims to stabilize the income of farmers and to encourage farmers to adopt innovative and modern agricultural practices. PMFBY also contributes to food security, crop diversification and enhance growth and competitiveness of the agriculture sector. Main Objective: – To provide financial support for the growth of micro enterprises sector. 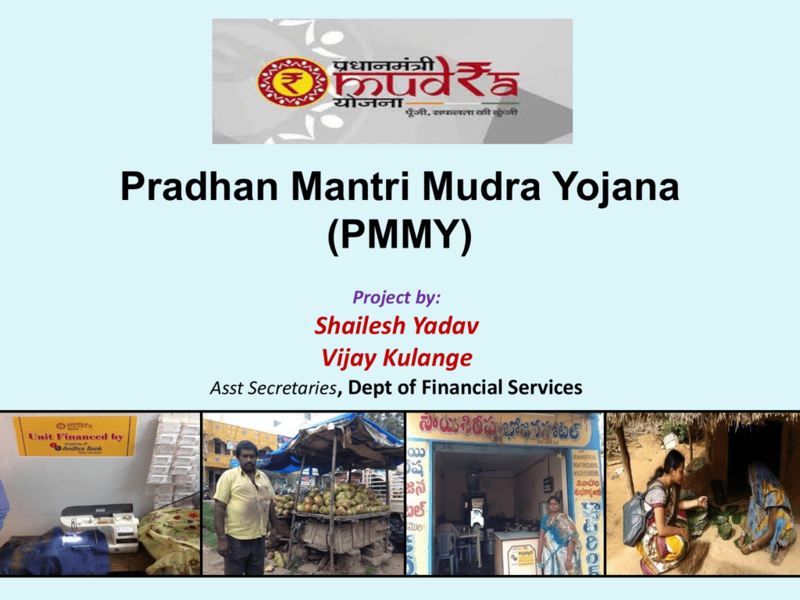 Pradhan Mantri MUDRA Yojana was launched to provide loans up to Rs. 10 lakh to non-corporate, non-farm small/micro enterprises. Mudra stands for Micro-Units Development and Refinance Agency. Mudra loan scheme is open and is available from all commercial banks, RRBs, small finance banks, cooperative banks, MFIs, and NBFCs. The borrower can approach any of these lending institutions or can apply online through MUDRA portal. MUDRA loan Yojana has created three products namely Shishu (for loans up to Rs. 50,000), Kishore (for loans b/w Rs. 50,000 & Rs. 5 lakh) and Tarun (for loans b/w Rs. 5 lakh & Rs. 10 lakh). Till 1 December 2018, more than 14.75 crore Mudra loans worth more than 7.05 lakh crore amount have been sanctioned. Out of this amount, more than 6.28 lakh crore has already been disbursed as Mudra Loans. Main Objective: – To provide monthly pension to workers in unorganized sector after retirement. 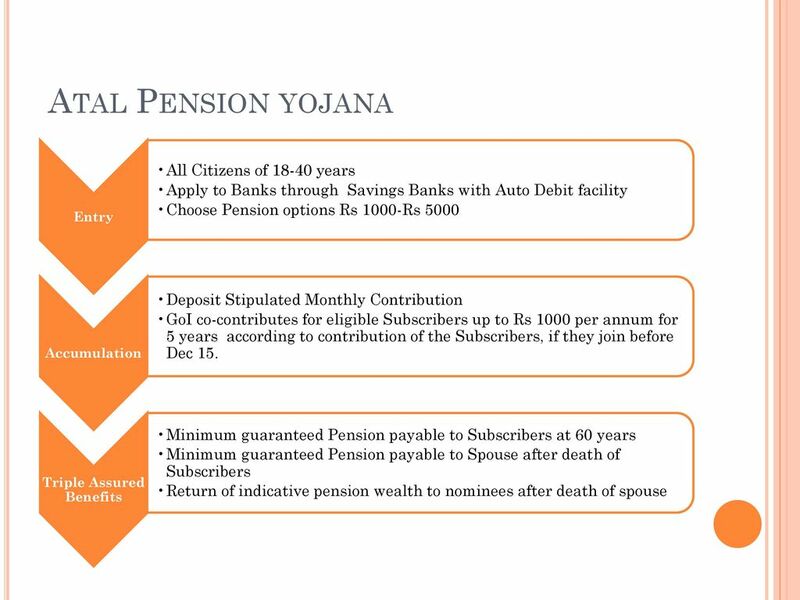 Atal Pension Yojana is a scheme to achieve the objective of Jan Dhan se Jan Suraksha which was launched by PM Narendra Modi. APY aims to provide pension to the workers in the unorganised sector after their retirement and to increase the total number of pension beneficiaries across the country. 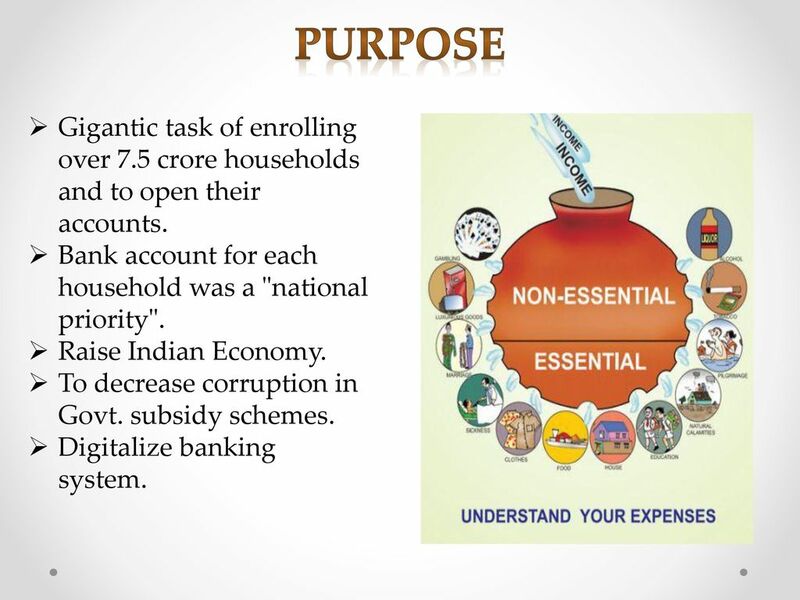 The scheme is especially targeted to the private unorganized sector and is open to all Indian citizens. The minimum age of joining APY is 18 years and maximum age is 40 years. Under the scheme, the minimum duration of contribution for each beneficiary under APY is 20 years or more. He/ she would then be able to get pension benefits after attaining the age of 60 years. Under the APY, the subscribers would receive the fixed minimum pension of Rs. 1000 p.m, Rs. 2000 p.m, Rs. 3000 p.m, Rs. 4000 p.m and Rs. 5000 p.m. Till 1 December 2018, there are around 1.24 crore subscribers of Atal Pension Yojana, hence we can say that this scheme is a huge success. PM Kaushal Vikas Yojana is providing skill development training to the youths in order to make capable of securing jobs in the country. PMKVY will enhance skills of youth in line with the industrial standards and help them get suitable employment. The scheme becomes all the more important as India has the world’s largest youth population that requires employable skills. As on 1 December 2018, there are 8464 training centers, 2250 training partners and 331 job roles. 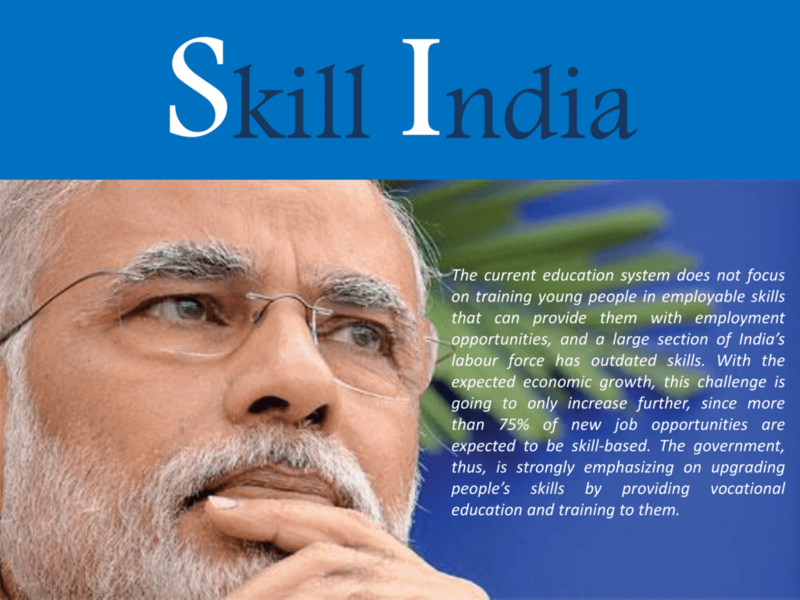 PM Modi in 2014 promised that there is a need to create an abundance of skilled labour in the country. 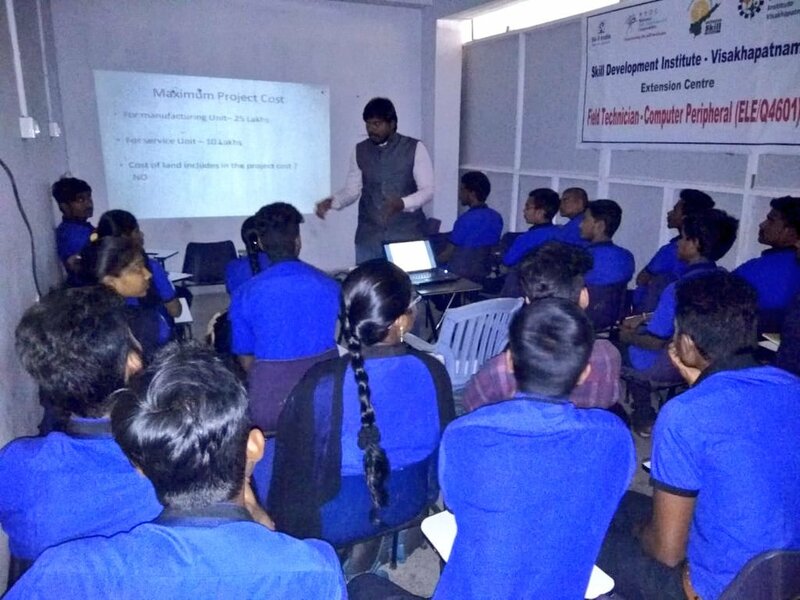 So, PMKVY program impart necessary skills to young men and women to make them capable of earning and to support the nations anti-poverty initiatives. Till 1st Dec 2018, there are 33.19 lakh enrolled candidates out of which 32.08 lakh candidates have been trained. As per the reports by TPs, more than 9.68 lakh students have been placed. PMRPY Scheme is specifically designed scheme to provide incentives to employers to create new jobs. In this scheme, govt. pays full employer’s contribution towards EPF & EPS both (w.e.f 01.04.2018) for new employment. PMRPY scheme has increased the employment base of workers in the establishment and thus a large number of workers are finding jobs in such establishments. PMRPY scheme has a direct benefit that these workers have access to social security benefits of the organized sector. All the establishments registered with EPFO and having LIN allotted to them under Shram Suvidha Portal can apply for availing PMRPY benefits. All the employees must have valid aadhaar linked UAN and wages up to Rs. 15,000. Moreover, now govt. bears full employer’s contribution (8.33% EPS + 3.67% EPF) for all sectors. People can easily make registration on PMRPY portal to avail scheme benefits. Pradhan Mantri Awas Yojana is an ambitious scheme of Narendra Modi Government to provide houses to people belonging to poor sections of the society. PM Awas Yojana is categorized into 2 sub-schemes namely PMAY Urban (PMAY-U) and PMAY Rural / PMAY Gramin (PMAY-R / PMAY-G). 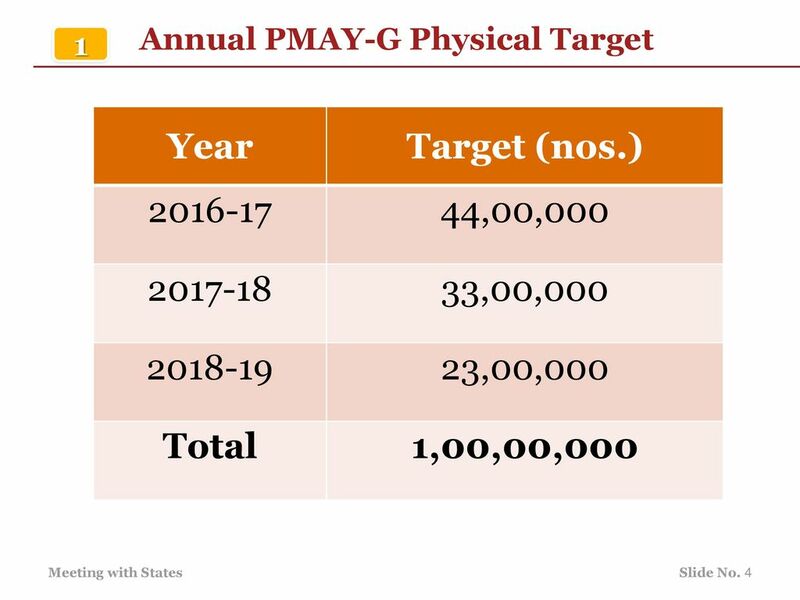 Under the PMAY, the government aims to provide about 5 crore affordable homes to the people belonging to EWS, LIG, MIG, HIG categories by FY 2022. There is a target of building 2 crore homes in urban area and 3 crore in rural areas across the country. Under the scheme, the government will provide financial assistance to the poor home buyers, interest subsidy on the home loan and direct subsidy on homes bought under the scheme. Under PMAY Urban alone, around 13,571 housing projects have been approved. The cumulative number of houses sanctioned reaches over 65.04 lakhs with an investment of around 3.48 lakh crore including central assistance of 1 lakh crore. Moreover, the total number of houses completed under PM Awas Yojana Urban (PMAY-U) & PMAY Rural / Gramin (PMAY-R / PMAY-G) stands at 1.25 crore. (*This data is upto 1 December 2018). Pradhan Mantri Ujjwala Yojana is the most famous and popular scheme of India’s Modi government. Under this scheme, central govt. provides free LPG gas connections to women belonging to the below poverty line (BPL) families living in rural areas. The government provides financial assistance of Rs. 1600 for each LPG gas connection to BPL households. 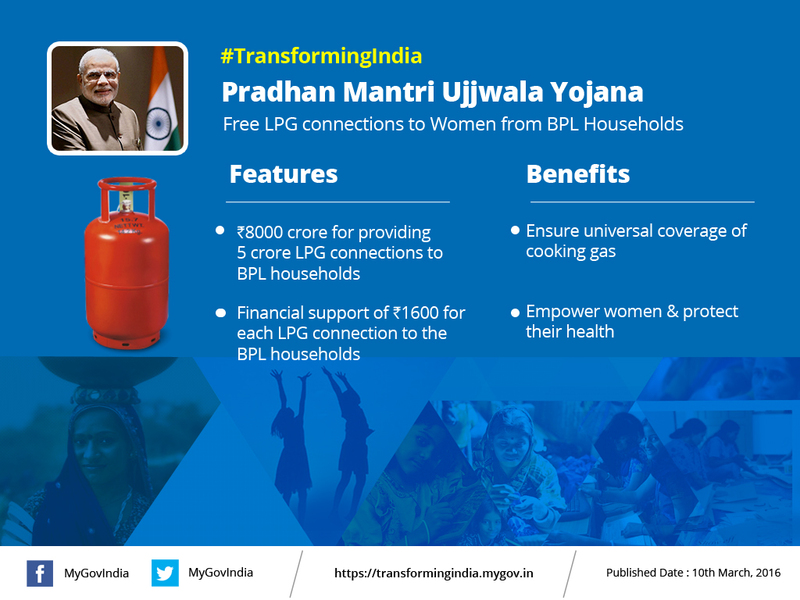 PM Ujjwala Yojana has changed the life of rural women as new LPG connections provide relief from smoke and other respiratory problems. Till 1st December 2018, more than 5.83 crore LPG connections have been released covering around 715 districts across the country. Central govt. has set a target to provide 8 crore LPG gas connections to poor people up to March 2020. This is the first ever welfare scheme by the Ministry of Petroleum and Natural Gas which would benefit crores of women belonging to the poorest households. Pradhan Mantri Sahaj Bijli Har Ghar Yojana (Saubhagya) scheme aims to provide electricity connections to each and every household in the country. Under Saubhagya scheme, govt. provides electricity meter connections to all the left out families who have still not received power supply even after 71 years of independence. When Modi came to power in 2014, there were around 18,000 villages where electricity had not reached. Modi govt. works in a fast manner to provide electricity connections to those villages. Till 1 December 2018, there are around 21.68 crore families in India out of which 20.85 crore families now possess electricity connections. Since the launch of this PM Sahaj Bijli Har Ghar Yojana, around 2.17 crore families have been electrified. This scheme ensures last mile electricity connectivity to all rural and urban households in the country. Main Objective: – Cashless treatment upto Rs. 5 lakh to poor people in govt. / private hospitals. PM Jan Arogya Yojana is going to provide Rs. 5 Lakh health insurance to all people whose name appears in the socio-economic caste census (SECC 2011) data. This Ayushman Bharat Yojana will benefit around 50 crore poor people (10.74 crore families) by providing them with cashless and paperless treatment in empanelled public and private hospitals. There is no limit on age, family size and income limit for beneficiaries. Around 1,350 medical packages covering surgery, medical and daycare treatments, cost of medicines and diagnostics are included in PMJAY health insurance scheme. Moreover, all the pre-existing diseases are also covered from day 1 and any hospital cannot deny treatment. Beneficiaries can call on a 24X7 helpline number 14555 or 1800111565 to reach out for information, assistance, complaints, and grievances. People can check their name in the PMJAY list of beneficiaries at mera.pmjay.gov.in. Till 1 December 2018, the total number of hospitals empanelled is 15,137 and the number of beneficiaries admitted reaches to 4.39 lakh. Moreover, 14.30 lakh e-cards have already been issued to the beneficiaries so far. In its current tenure, Narendra Modi government has launched more than 100 small and large social welfare schemes for different sections of the society but not all of them have been successful or reached the right beneficiary but some major schemes as listed above have brought a positive change the life of many families across the country. Participate in our opinion poll and let us know how you would rate Modi governmentout of 10.